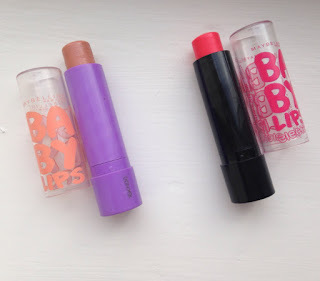 Maybelline Baby Lips is one of my favourite beauty products that Maybelline have and at £2.99, it certainly is the cheapest makeup product that I own. 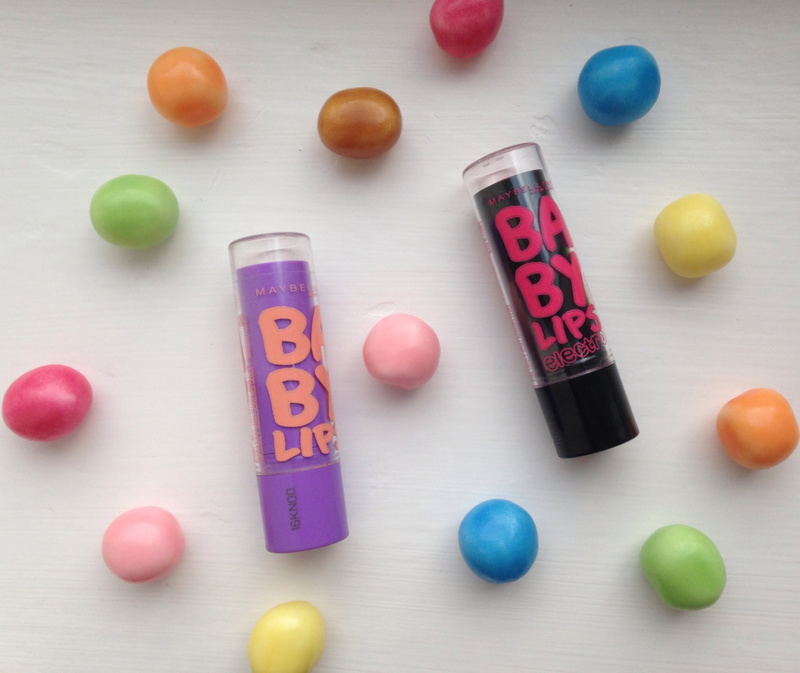 There are currently two different types of collections of Baby Lips, the normal range and the electro one. The normal one consists of Maybelline Baby Lips Balm: Hydrate (blue tube), Intense Care (yellow), Minty Fresh (green), Cherry Fresh (orange), Pink Punch (pink) and Peach Kiss (purple). The Electro range also has 6 shades: berry bomb (purple colour), fierce-N-tangy (yellow), oh orange (orange), pink shock (pink), strike a rose (red) and minty sheer (green). It would cost you £17.94 to buy all six from one collection. I currently only have two Baby lips, one from the normal range and the second from the Electro shades. They are both really good and affective. Baby Lips nourishes and hydrates lips for a soft finish and it actually does what it says in the description. It helps get rid of cracked lips and really does make them smooth. They are such a bargain!! I decided to try out one of the electro lip balms and Strike a Rose was my favourite shade. The other colours are a bit too bright and a bit too much for my tastes. Strike a Rose is a lovely pink/red and adds a natural rosy tint to my lips. If you wanted it to be a bit brighter then just apply 3 or more coats. I didn't upload a picture with the lip balms on as it adds a slight tint to your lips and I didn't think that it came up that well in a photo. I would definitely buy more Baby Lips and cannot wait for the Baby Lips crystal collection to come out in the UK because they look amazing!! I want to buy all of them, there are six shimmering shades in pink and red colours. The packaging looks so pretty and hopefully it will be in the shops here soon!!! They are called crystal kiss, gleaming coral, pink quartz, beam of blush, mirrored mauve and twinkling taupe.